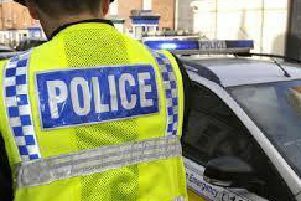 Two men in their twenties were arrested in Harrogate over the weekend, following an incident involving a knife. Police were called to Hyde Park Road at 6.25am on Saturday, after a member of the public reported seeing a man in possession of a knife, causing damage to a wheelie bin. A 23-year-old man and a 21-year-old man, both from Harrogate, were arrested on suspicion of affray when police attended the scene. Both men have since been released under investigation while enquiries continue.